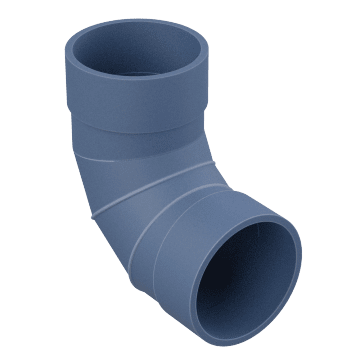 Use PVC duct and fittings when you need a durable material that resists corrosion and insulates against energy loss for improved efficiency. PVC ductwork is thicker than steel so it's sturdier but also heavier, and is sensitive to high temperatures. 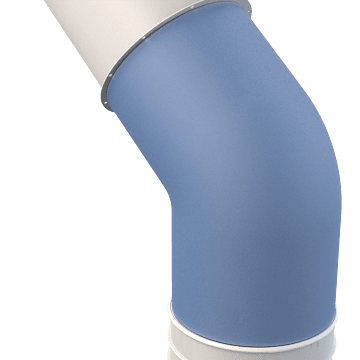 Run a length of duct and add fittings that bend, branch, or cap airflow to deliver heating and cooling where it's needed. 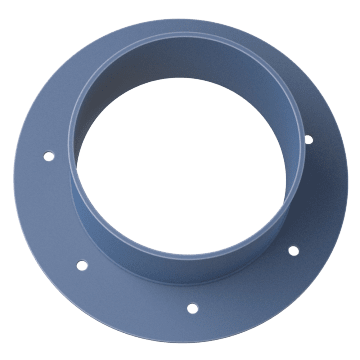 Attach ductwork to HVAC equipment or connect two lengths of duct with these angle flanges, also known as angle rings. They create a strong joint to add stability to your ductwork and allow easy access to bolt holes for quick assembly and disassembly. 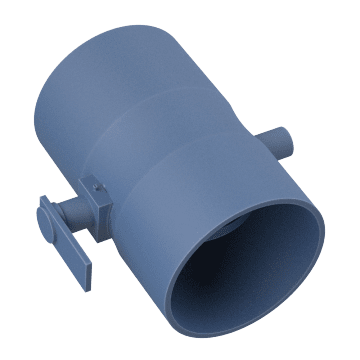 Transition between larger and smaller ductwork with these reducers. They have a different diameter at each end. Cover duct ends with these caps to terminate a run of duct, protect duct ends, and provide a finished look on your ductwork. 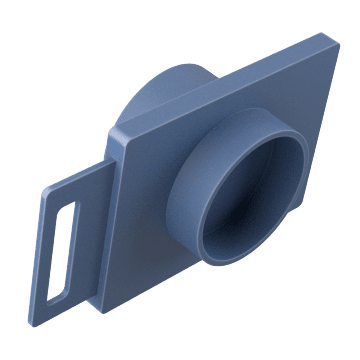 Generate increased flow and suction in your duct system by using these manual blast gates to temporarily close off specific branches when they're not needed. Also known as cut-offs or slide gates, they have a blade that slides into the airstream to reduce or shut down flow. They're typically used at vent points to give you control over air distribution for improved energy efficiency in your HVAC system. 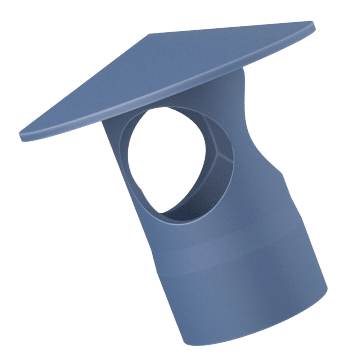 Balance airflow and prevent backdrafts to help maintain efficiency in duct systems with these butterfly dampers. 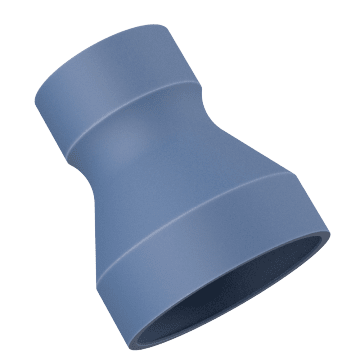 They are a type of sleeve damper with a disc, or wafer, that can be rotated to adjust airflow and are commonly installed at an easy-to-access location in each branch of a system. Change the direction of airflow at a right angle with these 90° elbows to move air up, down, or around corners. They will cause some reduction in airflow. 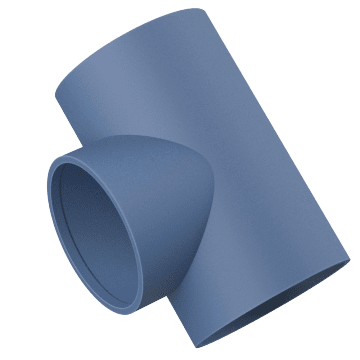 Redirect ducting while minimizing airflow restriction by using these 45° elbows, which are angled more gently than 90° elbows. 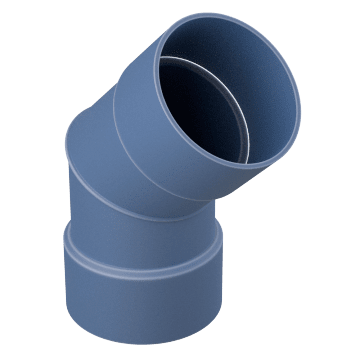 Extend a straight run of duct by connecting two duct sections of the same diameter with these couplings. Split airflow off a trunk or branch line and redirect it at a right angle with these tees. They have a free flow design that forms a gentle angle to help maximize airflow. 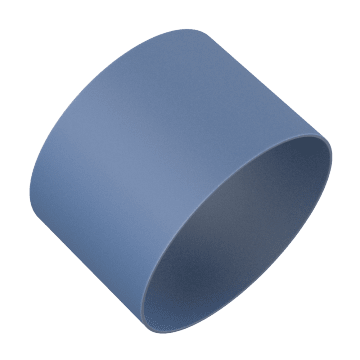 They're often used for exhaust applications. 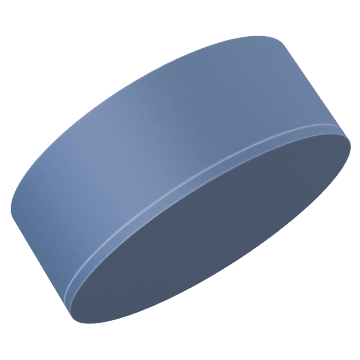 Vent exhaust from your duct system to the outdoors while keeping out rain and debris with these rain caps.